Here is my first test with GlutenTox Home. 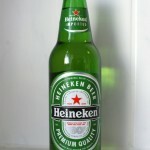 Heineken is in the Top 10 of the best selling beers in the world and won the recent poll. 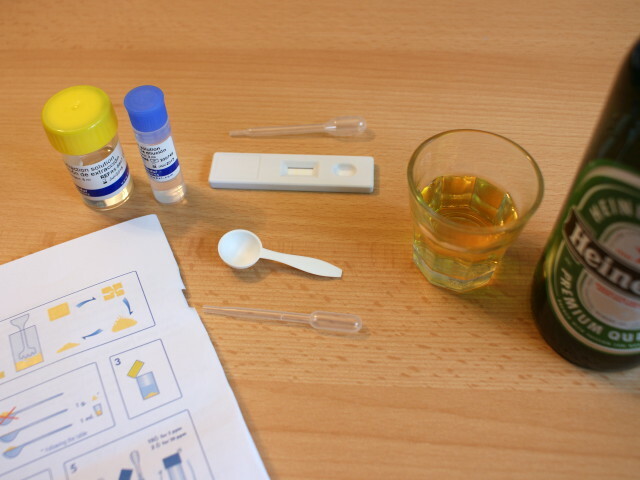 Preparation: For testing beer the gluten extraction process can not be skipped. 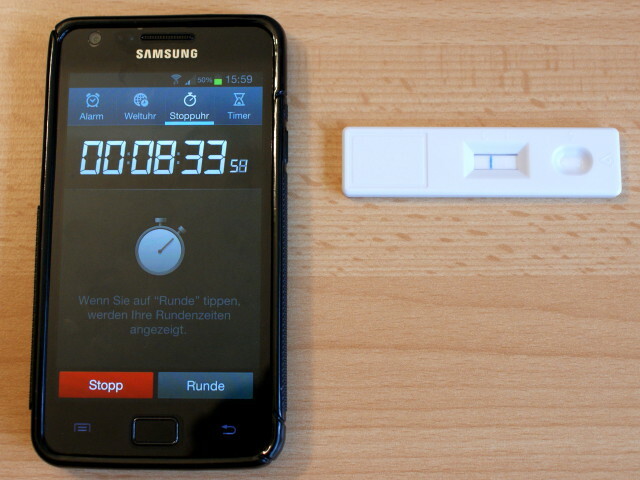 Beside the test kit and beer sample have a stopwatch handy. 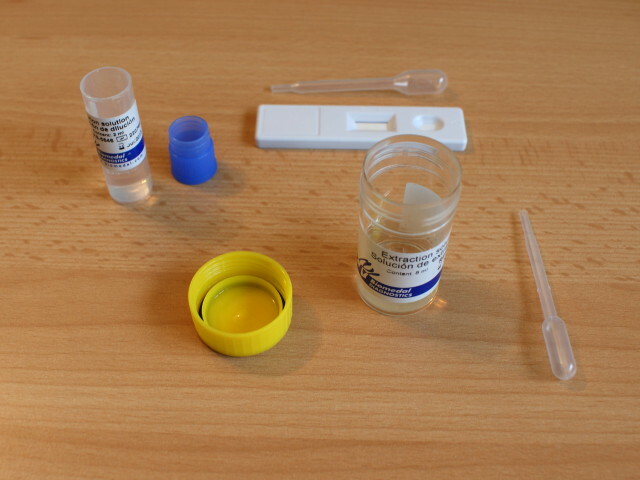 The pictures below describe the test process (from left to right). 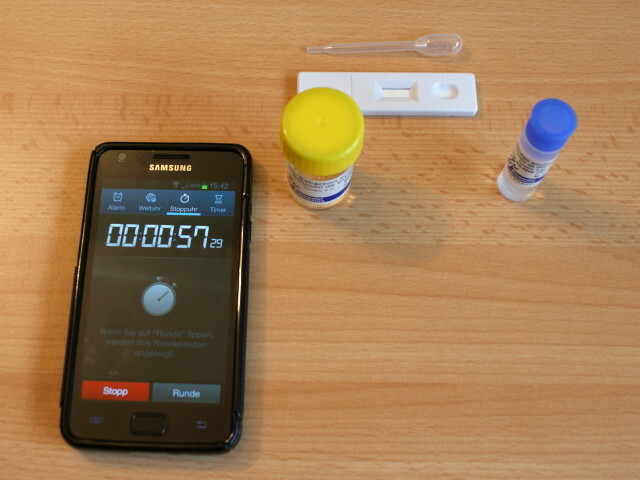 Test result: To determine the level of gluten I set the detection threshold to 40 ppm which means I used just one drop of the sample. The limit of detection depends on the number of drops, please find some more information here. After consultation with Biomedal this is negative result. That means the gluten level is either below 40 ppm or there even is no gluten in this sample at all (please note the detection threshold is set to 40 ppm). 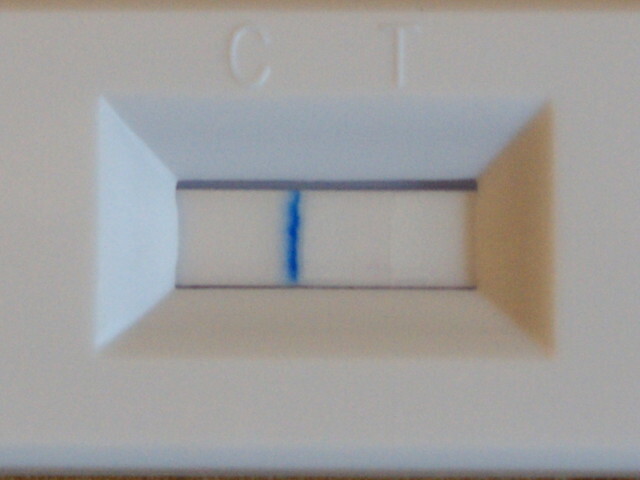 In case of a positive result a clearly visible red line would appear on the right of the test stick ( T ). As the blue control line ( C ) appeared the test has been executed correctly. 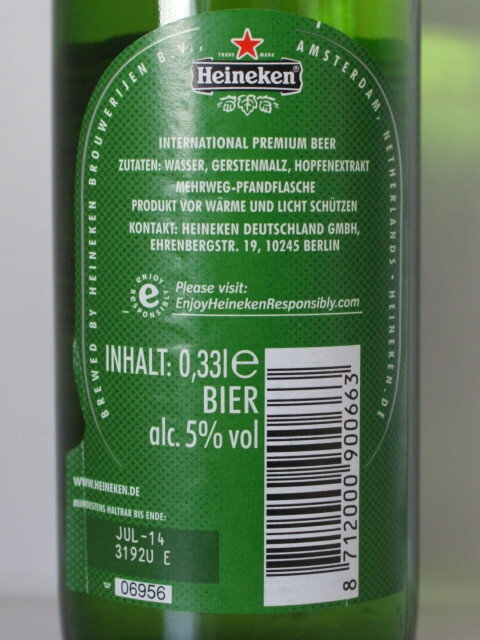 In this test Heineken has less than 40 ppm gluten (or even no gluten). However, it is not a medical advice – please see my facts page. I have only just found your site today. I am so glad I have. It is a great service to those who can’t have gluten and have been denying themselves beer til now. Obviously you are doing the test to the best ability you can given your equipment. How is it possible to verify these results? At least, would you conduct second tests, to at least ensure you got the same result twice? If this result about Heineken is true, this is indeed great information. I haven’t even looked at the rest of your site yet, but have you tested Urquell? I am now going to be following you closely! Great to hear, Steffen. I stay tuned! This is very interesting work. Do you have any plans on testing some of the more popular American microbrews (Ipswich, Sierra Nevada, Anchor Steam, etc)? I’ve always been very curious about them (since I do partake every so often). Please can you test Heineken on the 5ppm test? Hi Derek, in the Swedish test they tested Heinken Light which explains a different result. 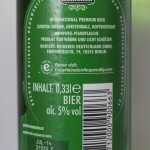 I tested the regular Heineken negative with a threshold of 40 ppm. I consulted Biomedal about the test result and they said [quote]: “…that when a result comes positive you can strongly appreciate the red line. I have seen your picture and we can confirm this is a negative result for sure”[end quote]. It might be that with another threshold of e.g. 20 ppm I would also get a positive result, though. Please try which beer is suitable for you without reactions, this always is the best way. And don’t overdo. 20 ppm (parts per million) is the threshold for gluten free beer according to the Codex Alimentarius which means if a beer has 20 ppm you could drink 1 litre to reach this level, which is around three 12 oz bottles/cans of your favourite beer. A lot of people asked me to also test Miller Lite which I will do soon. Since finding that Heineken, Corona and Bud Light are low gluten, I thought I’d check Becks. Guess what? No reaction. I’m wondering now, if German beers brewed the same way will fall into the same category. I used to love Furstinburg. I will have to do a test on this to see if the Gluten content is as low. 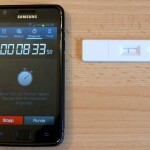 Hi Ramsey, if you get the chance to test it please share your experience. This might be interesting for a lot of people. I’ve just come back from a holiday in Sri Lanka, and I’d read before I went that many Asian lagers are low gluten because they use a lot of rice in the brewing. So I tried the local beer. I can report that I had no problems with Lion Lager, and drank copious cold ones on the beach at sunset 😉 The other main local beer – Three Crowns – not such a good experience. So that’s the travel advice – if you ever go to Sri Lanka, stick to the Lion Beer! Thank you very much indeed for this ‘travel advice’. This is really helpful information for people with GS or CD who plan to travel to Sri Lanka. It is true that many Asian beers contain rice and so have only very low gluten. Please keep us informed about your experiences with beer when you travel again. G’day, some very interesting facts here. I am Coeliac, been diagnosed 4 years and have been frightened to drink any beer except Redbridge on a cruise in the US and our local GF beer – O’briens which @ $80 a case is no no for me. Following your research I bought some Budweiser in the 330 ml bottles a few day ago and tried one, no ill effect so far. I think one need to be aware that beers like Becks and Corona are made in various places overseas, i.e. Becks is also produced in OZ by local brewer Tooheys, I wonder how that is gluten wise. Anyway keep up the excellent work. Hi Les, yes that’s correct – mainly big brands brew their beers in different locations. That’s why I always state the brewing location in my tests. From my experience a lot of the gluten concentration depends on the filtration method which varies from brewery to brewery. Best example is the Carlsberg test: http://www.lowgluten.org/carlsberg-gluten-test Originating country of Carlsberg beer is Denmark, but in Germany you only get the Carlsberg brewed in Germany. I am almost sure that a test of the Original Danish Carlberg would return a different result. Thanks for reply Steffen. I had another ouple of Budweiser yesterday in the 355ml bottle, brewed in St Louis, USA. All great with my gut so far. I look forward to other tests. I purchased a six pack of Corona today, give it a try, fingers crossed. I thought Corona was also brewed under licence in other countries, but not the case apparently, all brewed south of the border, down Mexico way. Hi Les, please let us know about your experience with Corona. I had no reaction with the Corona brewed in Mexico. For Corona I am not sure if they brew it outside of Mexico, I think not. 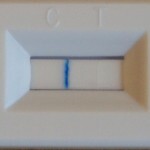 I tested it negative with a home kit and in some other professional studies gluten could also not be detected: I listed some links here: http://www.lowgluten.org/corona-test/ . Scroll to the comments at the bottom. Hi Steffen and others, well I contacted Lion Nathan here in Australia who import the Corona Extras, they tell me it is imported from Mexico and no Corona Extra is brewed outside of Mexico. They would not be definitive re gluten contained in Coronas, suffice to say it may be lower than other beers. So I had a Corona last night and like with the Budweiser no ill effects to this coeliac fellow. Coeliac only hit me 4 years ago, I could eat and drink what I likes until then. I am not pushing the boundaries with these low gluten beers like Bud and Corona, but might try a Sapporo or Heineken. Hi, sorry to reply so much later, but did you ever try Heineken? I’m a celiac too and I really want to try it but I’m a bit nervous! i’m dead because of your non-medical advice..
have you tested gluten beverages and compared your results with known amounts,, your established measurements should have a confident baseline to compare a negative result. In the comments you will find links to a professional study which came to the same negative result – check it out. I’ve tried Sol beer and it seems to be ok. Been coeliac for 10 years now and desperately looking for a good beer that’s gluten free. Also the Turkish beer Efes seems to be ok too. Hi Crazy Diamond, thanks for your feedback. Haven’t tested Sol or Efes yet. But both are worth testing. If you get the chance to test them just let me know. How did you get on with efes, was it bottled or draught and was it in turkey or UK? We’re you diagnosed coeliac in UK? THANK YOU! THANK YOU! I have been craving a cold beer for years. The gluten free did not work for me. 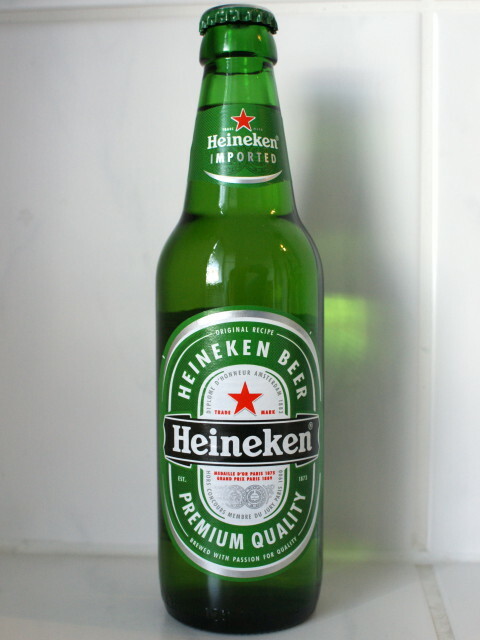 Just googled and found you, went straight to the fridge and grabbed one of my husband’s Heineken. I will let you know how I feel in a couple days. And let us know about your reaction.